2 of 3 In a microwave-safe bowl, combine candy melts and oil; melt according to package directions. Dip apples in candy until evenly coated, making sure some red peeks out. Allow excess candy to drip back into bowl. 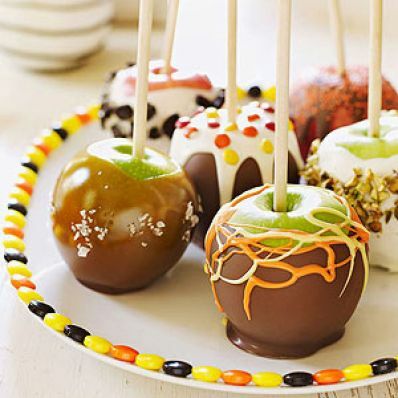 Sprinkle chopped Oreos around top of each candy-coated apple. 3 of 3 Place apples on a parchment-paperlined baking sheet to dry.